I'm switching things up and posting my "Shoetastic Sunday" post on Friday! I'm sorry there will be no "Food Friday" post but with all of the holiday baking and parties, I haven't had a chance to take any photos. I'm hoping these gorgeous shoes will make up for it? 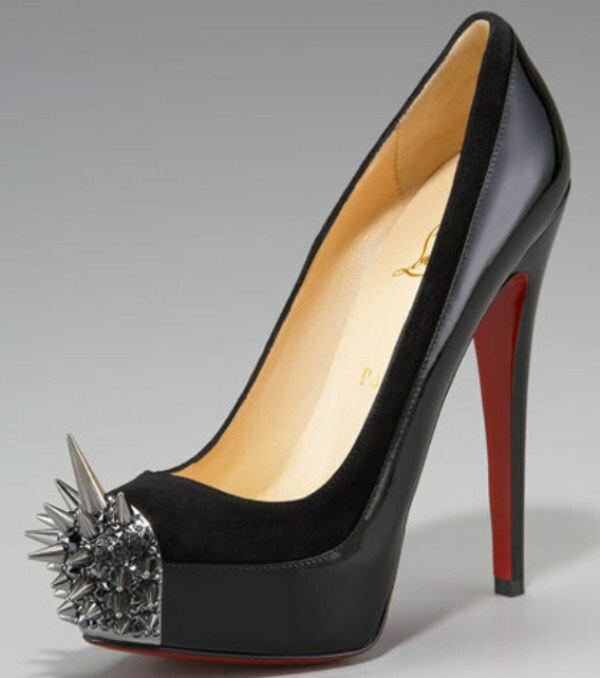 If not...I'll just kick you with these Christian Louboutin Asteroid pumps till you say it's okay! haha. Just kidding. But seriously-these shoes could do some major damage! Could you imagine trying to board an airplane with these in your suitcase? It’s bad enough they confiscate your tweezers, nail files, or some other small item you’ve forgotten to remove from your makeup bag – just imagine how you’d feel when airport security took away your $1595 Louboutins! They are gorgeous though aren't they? I put them on my wish list HERE but I know that with a hefty price tag of $1,595 they won't be under my Christmas tree. A girl can dream though...right? If only Santa Clause were Christian Louboutin Clause! Wishing you a Merry Shoe Christmas!